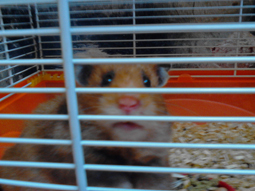 I first bought a Golden Hamster named Potter. I thought she was a boy but she's a girl. I really liked him and started to grow a love for hamsters. I played with him a lot! Then I thought of buying 2 more. I named them Coconut and Brownie. After a month, they had babies unexpectedly! 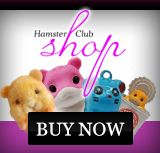 I sold them since i couldn't keep the 8 of them and kept one - a Teddy Bear Hamster. 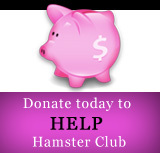 I really love hamsters now and i really would like to have this hamster book so I learn more about them.